Egyptian businessman and co-owner of Al-Masry Al-Youm, Egypt's largest independent daily newspaper is being detained for four days for questioning over his alleged possession of unlicensed firearms, state-run Al-Ahram's website reported on Sunday. Diab was arrested early on Sunday morning at his villa in Giza on charges of possessing unlicensed firearms after security forces stormed his house on orders from the prosecution, according to his family lawyer. According to Ahram Arabic website, security forces in Cairo and Giza arrested Salah Diab and his son Tawfik Diab after they reportedly found three unlicensed automatic rifles in their homes. Diab's lawyer Farid El-Deeb said that his client’s arrest and that of his son at the same time had nothing to do with the corruption probe launched against his client and the freezing of his assets last week, Al-Masry Al-Youm reported on Sunday. "My sources are saying that Salah Diab and his son were arrested because of illegal possession of unlicensed weapons," El-Deeb told the daily newspaper. The newspaper also added that its sources in the Giza Security Directorate confirmed that the renowned businessman and his son were arrested because of unlicensed weapons. The Public Funds Prosecution Bureau had received a complaint in 2011 that Diab and the other suspects had acquired agricultural land on the Alexandria Desert Road from the agriculture ministry at very low price, and built tourist resorts on those plots in violation of the contract. The prosecutor-general had ordered that Diab's assets be frozen on Friday, along with those of his wife and a number of other associates, including other co-founders of the newspaper. Cairo Criminal Court will hold a session on the asset freeze on Tuesday. 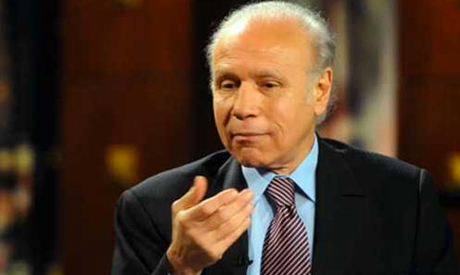 Diab co-founded Al-Masry Al-Youm newspaper, currently Egypt's largest privately-owned daily, in 2004. "Despite the shock that this piece of news generated in different environments, a shock that originally goes back to the timing of the issuing of this decision even though the matter was brought up five years ago, Al-Masry Al-Youm assures that it abides by its constant oath to our kind readers and continues assuming its professional and patriotic role," the newspaper said in a statement Friday. "A negative image for investment in Egypt"
The Federation of Egyptian Industries issued a statement Sunday afternoon criticising the procedures involving Diab’s arrest and the way he was photographed while in handcuffs. "These photos reflect a negative image for investment in Egypt," the statement said, while at the same time assuring the federation's trust in the judiciary and asking the Ministry of Interior to "preserve Egypt's civilised image" in a way that does not compromise the country’s security and stability. Does this selective “complaint” have anything to do with the critical tone of the paper on dismal government performance?